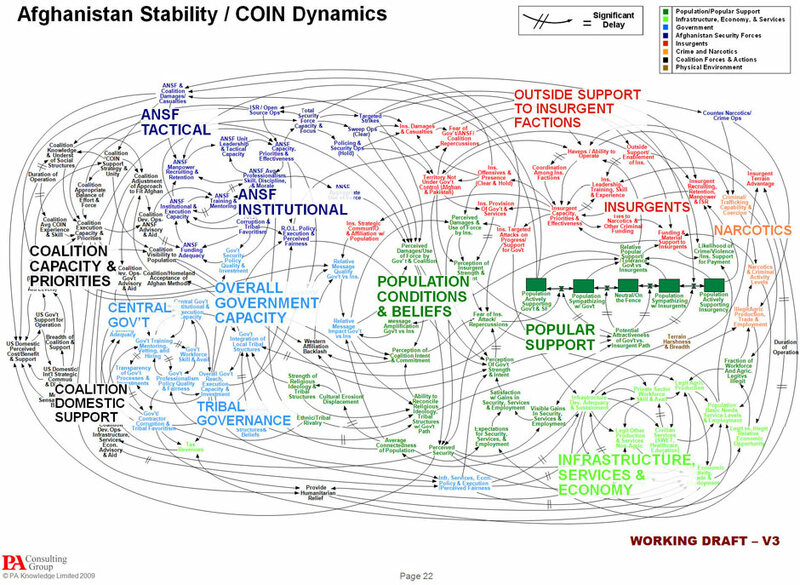 We all know medical scientists who like to present similar graphs when it comes to systems biology trying to explain complex relationships beyond words. It won’t unravel the mystery, I am quite sure. Well, it isn’t PowerPoint which creates confusion here. It is of course the invasion of interculturally incompetent Westerners who have created an overall messy and highly complicated situation, even and in particular after nine years of war. Last update July 5, 2010. This entry was posted in Afghanistan, NATO, USA and tagged Barack Obama, David Petraeus, endless war, Isaf, misconception, Stanley McChrystal, surge. Bookmark the permalink.